TechnicBRICKs: TBs TechNuggets 02 - An 'Angle Connector' like part, never released. TBs TechNuggets 02 - An 'Angle Connector' like part, never released. 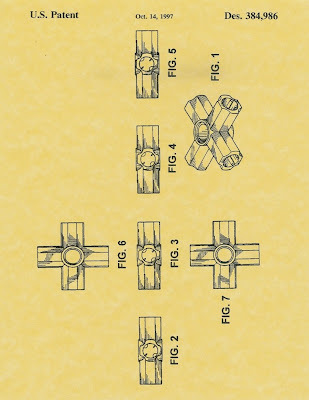 Some time ago, I found some interesting LEGO patents at USPTO, filled by Interlego AG (Switzerland) at the time. 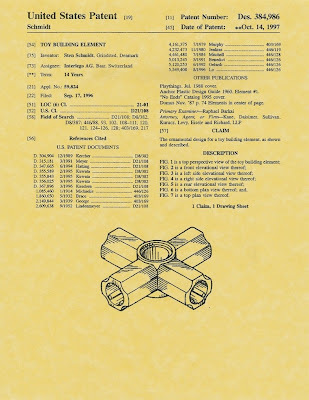 One of them describes a part similar to the actual LEGO TECHNIC Angle Connectors, but like a cross, which would allow to connect four TECHNIC axles and was never released up to date in any LEGO set. As the other Angle Connectors, maybe it could be also of interest for many of us. The patent was filled in 1996 and published one year later, in 1997. The same year when the first TECHNIC sets using those similar Angle Connectors were released, like the mythic 8479 (Barcode Multi-Set) or 8250/8299 (Search Sub) among others. This is of 'Design Patent' type and Claims for an 'ornamental design for a building toy element'. 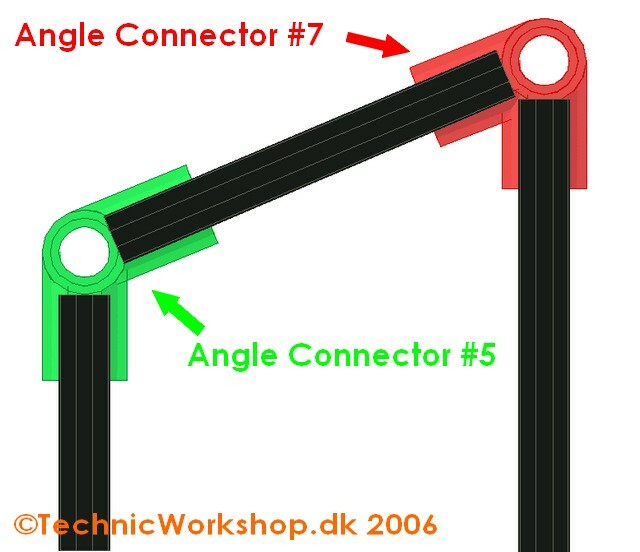 Some other interesting Angle Connector variations, could include Acute rather than the known Obtuse, Right or Straight angle parts. Like the red example parts, proposed in the images below, which were found at Brickshelf and would allow a new set of possibilities. That would surely be a useful piece, and, according to a PLUG member who knows about plastic molding, not hard to manufacture! 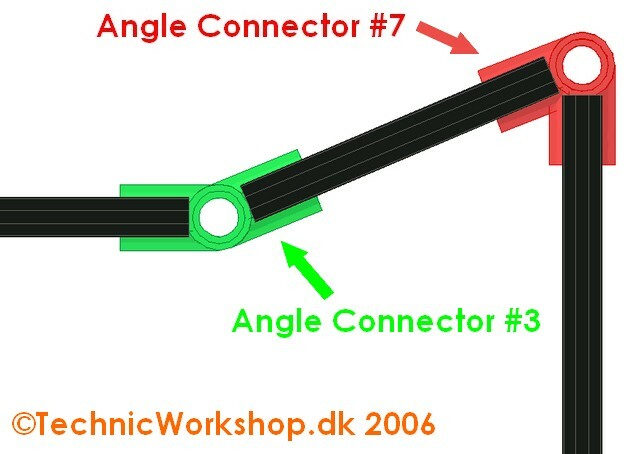 As for the #7 angle connector: another useful would-be piece! But I doubt smaller angles than that would be possible, because the inserted axles would overlap. Unless a longer version was created... but, in that case, it wouldn't be possible to achieve very small designs. The triple connector only showed up in the last year or two (I think the first I saw it was in the sand crawler set or all things.. perhaps before). Anyway it's not heavily used in existing sets. However the triple connector, is not exactly in the same style as the mentioned 'Angle Connectors'. I guess you mean this one. Yep, that's the one I meant. I only brought it up as an example that we're not done seeing new parts released by a long shot.